Huawei, China’s biggest telecommunications conglomerate, is facing challenges in renewing a permit for its research branch in California, called Futurewei, due to national security concerns in Washington over the technology being developed and acquired there. Founded as Huawei’s U.S. subsidiary in 2001 in Plano, Texas, Futurewei employs more than 1,200 employees in the United States. In 2011, Futurewei opened a research and development (R&D) center in Santa Clara, in California’s Silicon Valley. It employs around 700 people, most of them design engineers and scientists. Futurewei Santa Clara focuses on developing new technologies for Huawei’s global market. On Jan. 10, The Wall Street Journal reported that Futurewei Santa Clara’s export license expired in April 2018, but the U.S. Commerce Department hasn’t renewed it for reasons of national security. Futurewei hasn’t been able to send certain technologies back to China in the past several months and may be unable to do so in future. The report said the Commerce Department first gave notice of its decision in a letter in June 2018, in which the department described clearly that exports of telecom technology and software were banned. This includes high-speed data-transfer technology, a key advance that Futurewei Santa Clara invested $16 million to produce and has 40 full-time designers working on. In July, Futurewei Santa Clara informed the Commerce Department that it would relocate its research center to another country if it couldn’t get the export license. As of now, the Commerce Department hasn’t approved Futurewei’s application, and Huawei is still trying to appeal the decision. But it could be difficult for Huawei to change minds in Washington. 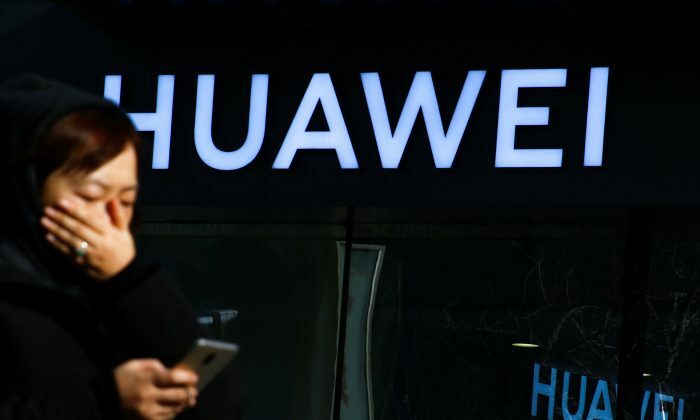 The New York Times reported April 17 last year that William Plummer, the Huawei external affairs president, and four other American Huawei employees had been laid off. Despite these “Sisyphean” efforts by Plummer to lobby the U.S. government, as The New York Times put it, Huawei received no special treatment. Open Secrets reported that Huawei spent $1.2 million on lobbying in 2012, $120,000 in 2018, and around $600,000 in the period between 2013 and 2016. Before 2012, Huawei’s business in the U.S. market had been running well. That year, however, the U.S. government’s investigative report on national security issues posed by Chinese telecommunications warned that Huawei products could be used to destabilize U.S. telecom networks and spy on Americans. In 2018, Verizon and AT&T blocked Huawei’s hardware from their networks. Since then, Huawei has only been able to sell its products to small carriers in the country. On Dec. 1, 2018, Canada arrested Huawei Chief Financial Officer Meng Wanzhou at the United States’ request. Huawei was charged with having done business with Iran and other countries in violation of American sanctions. Even without the export license, Futurewei Santa Clara still can export a number of unbanned products to China, as well as continue selling Huawei telecom systems to small U.S. carriers. After its CFO Meng Wanzhou was arrested in Canada, Huawei has been confronted with more challenges, including reduced access to the global financial system.